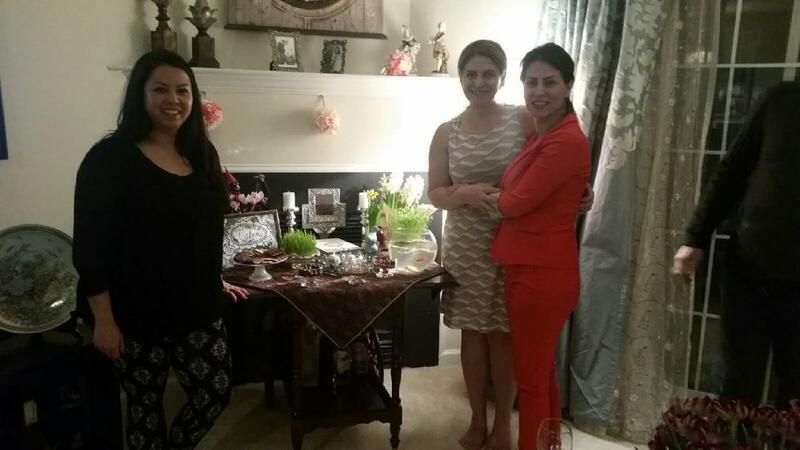 I have lots of Persian friends, so Nowruz is another holiday for me. It’s part of my yearly celebration even though I’m not Persian. 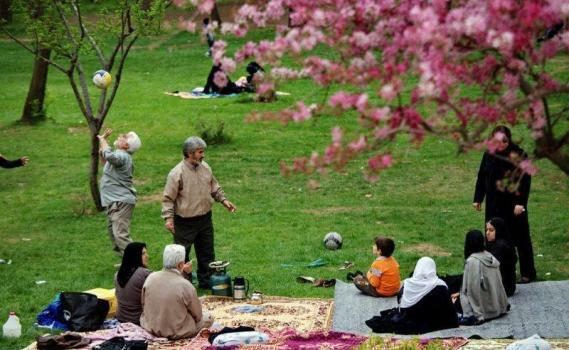 But a lot of people who are not familiar with Nowruz have asked me to explain what it is. Think of this as an American’s guide to Nowruz, it is not 100% the full background because I’m not Persian, so a lot of it is what I’ve been taught over the past few years. Similar to Chinese New Year or Vietnamese New Year which is based on the lunar calendar, Persian New Year marks when winter changes to spring or scientifically named the vernal equinox. 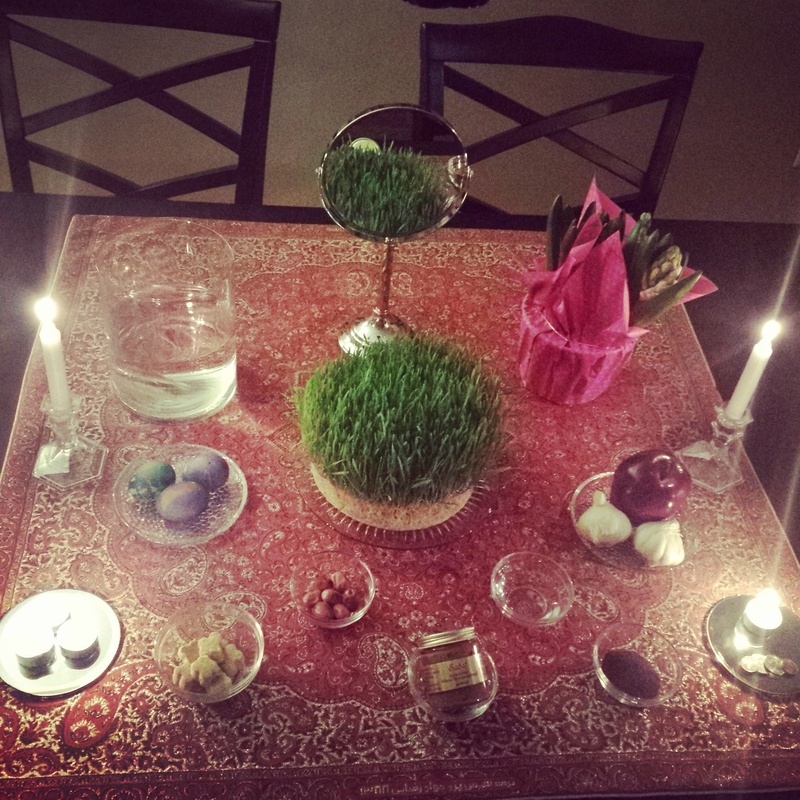 Nowruz literally translates to “new day.” This tradition has been celebrated for over 3000 years. 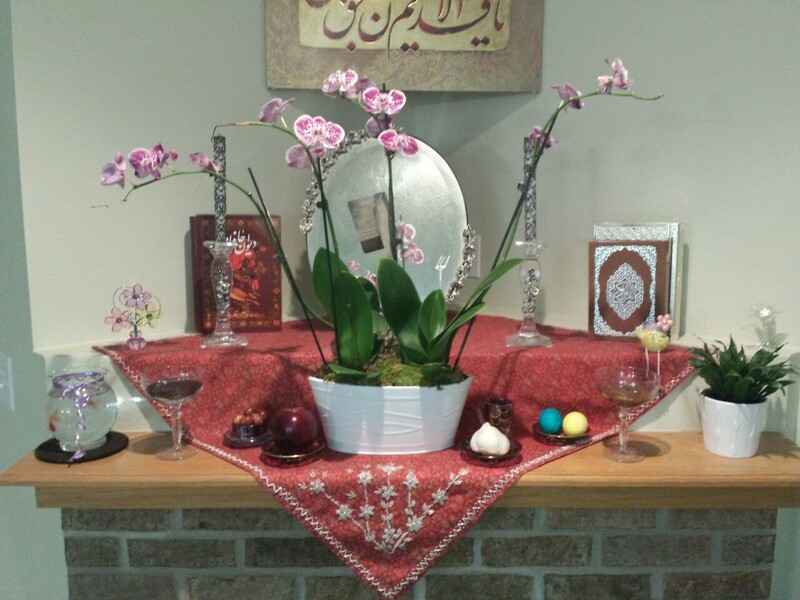 There are several traditions over the span of 2 weeks to celebrate Nowruz. I know what you are thinking. 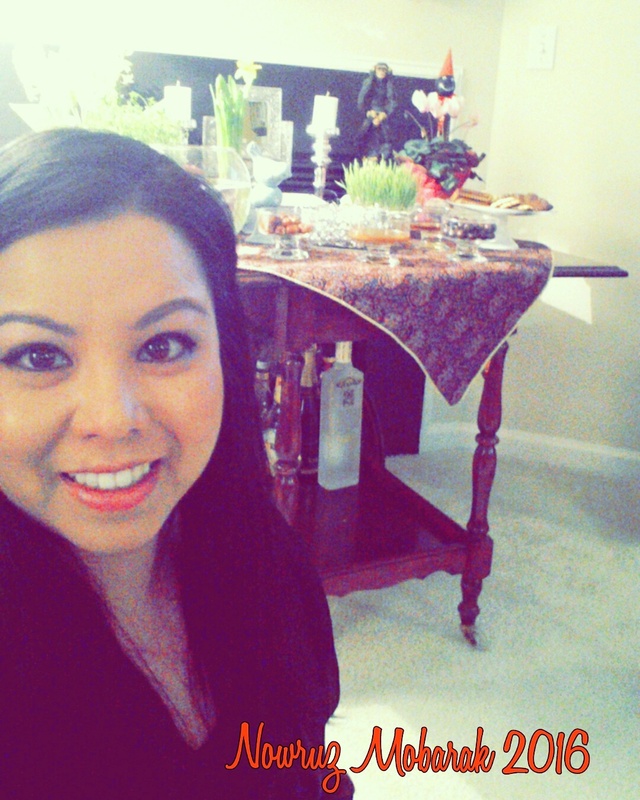 Two weeks of celebrating, that is a lot, all I have to say is that Persians love to party. People will take this time to completely clean up their house, including washing their precious Persian rugs. This act of spring cleaning represents starting the New Year fresh. This happens on the Wednesday before Nowruz. You will recognize this event when you see pictures of people jumping over the fire. This is a celebration of the “light” winning the battle against darkness. It is another event to wash away the bad and start the year fresh and rejuvenated. 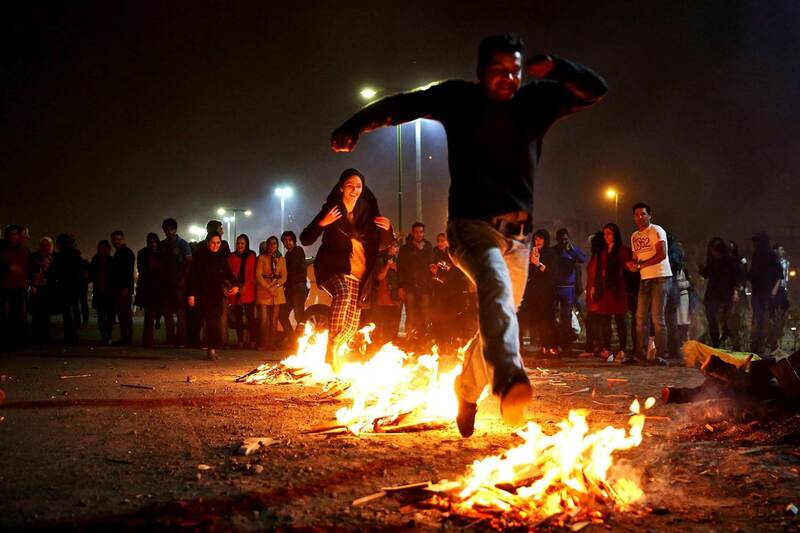 For the event, you will see people jump over the fire saying the phrase “Zardi ye man az to, sorkhi ye to az man.” It technically translates to “my yellow is yours, your red is mine, which is their way of telling the fire as you jump across to take all their sicknesses, bad luck, and bad energy from the past year and let them start the new year with a blank slate. My first year that I went, I didn’t understand why people were jumping over the fire. I thought it was a game to see how many in a row I could jump without stopping. All my friends laughed when I did that, so I guess, I started that year with a very clean slate. 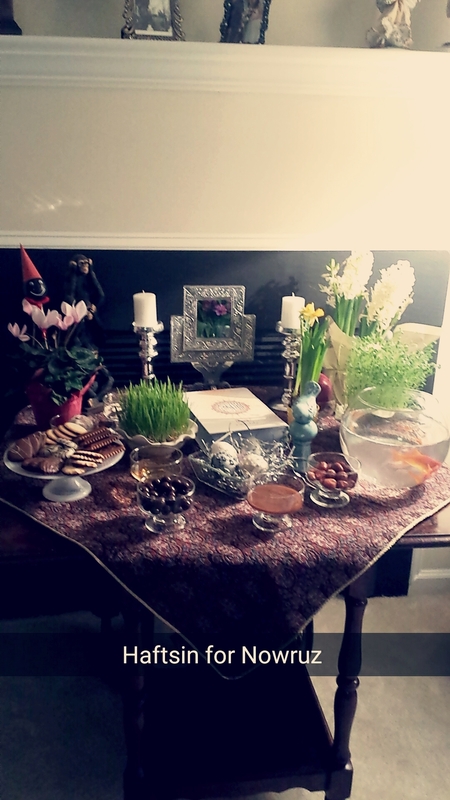 Just like New Year’s Eve, there is the eve of Nowruz. 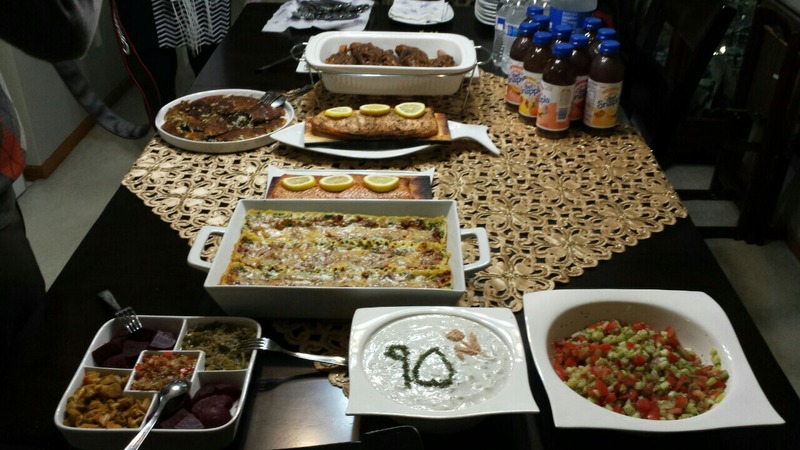 Unlike New Year’s Eve where everyone wants to go out, many Persian’s want to be in their own home. On this night, the main thing is to be with family, admire your Haft Seen, and eat a traditional Nowruz dinner together. They believe that whatever you are doing when New Year’s hits will reflect throughout the year. For example, if you are sleeping, which I did, you will be sleeping a majority of the year. If you are out, it symbolizes that you will be spending a majority of your time out and about versus being at home. 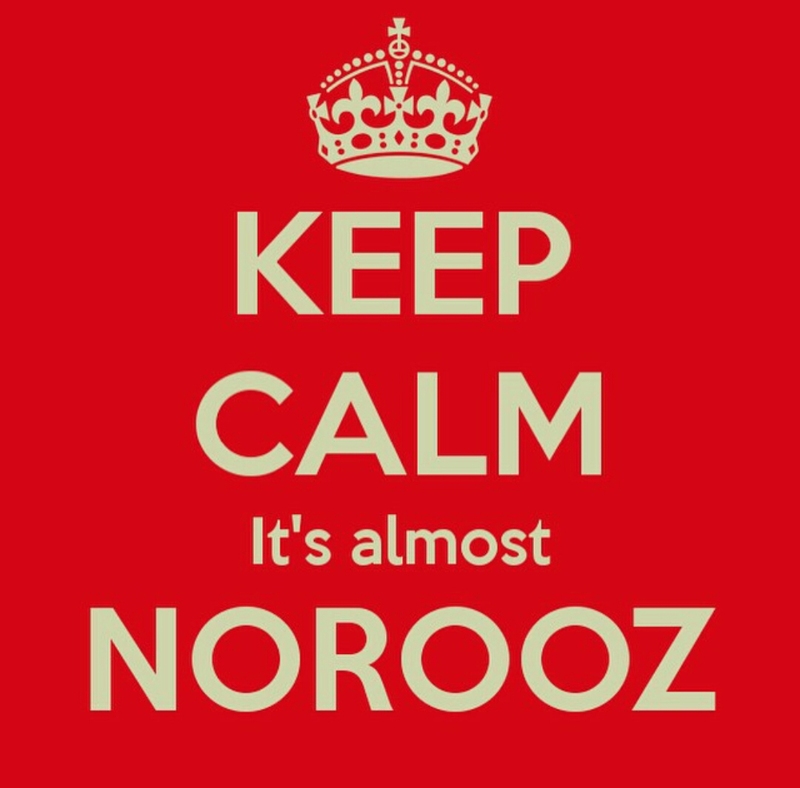 This year, Nowruz didn’t happen until 12:35 PM my time and I decided to take a nap. I told Taban to wake me up. I was sick, so I wasn’t my usual energetic self. Unfortunately, Taban didn’t, which means I’ll most likely be sleeping most of my year away. 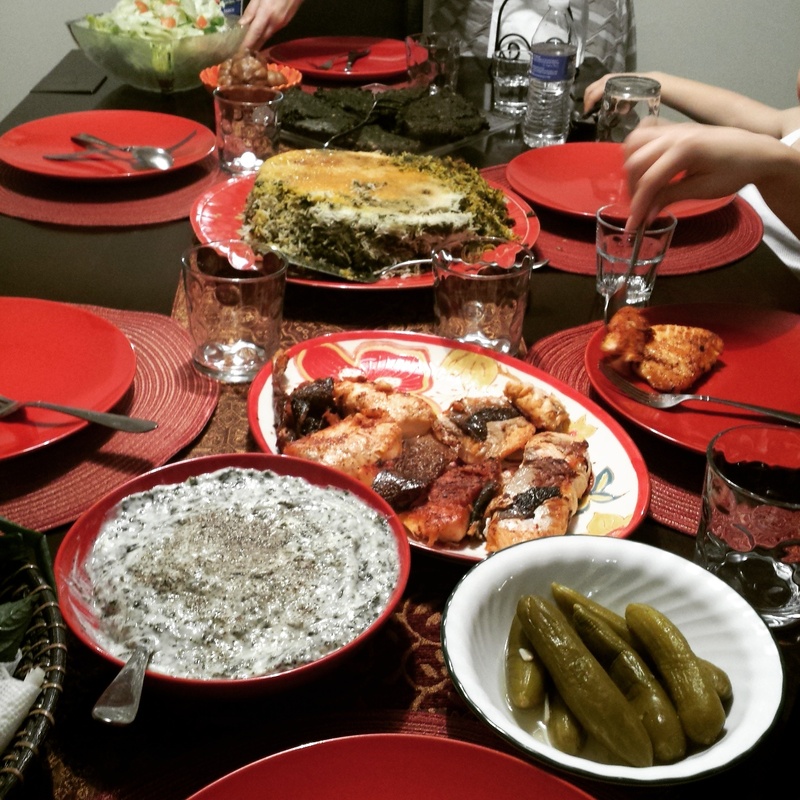 Here are some of the items in a traditional Nowruz dinner. Just like Thanksgiving has a turkey, there is always fish when they celebrate New Year’s. Sabzi Polo ba Mahi- Rice with green herbs and fish. Koo Koo- I believe Taban may kill me for this description, but I think it is like a herb pancake. It is absolutely delicious, but you dice the herbs and add eggs and seasoning then pan-fry together. Sabzi- This technically means “greens,” but as I pointed out, kale is green and so is salad, but that’s not Sabzi. So it was explained it only is composed of radish, green onions, basil, and it is strictly a Persian thing. It represents the 13th day after Nowruz. On this day, it is celebrated by going outside for a picnic to rejoin nature and be part of the outdoors. 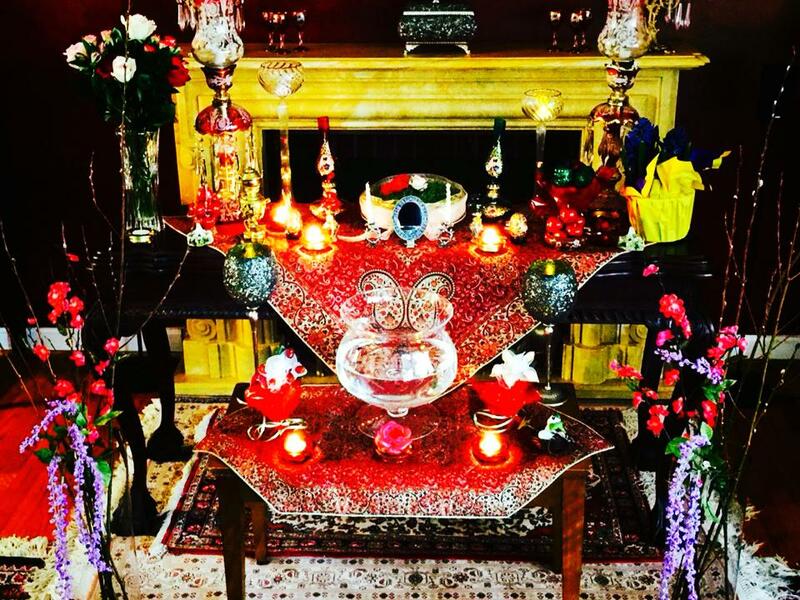 The Haft Seen which is also called the 7sin is a table setting that is done a few days before Nowruz. Think of it like the Persian’s version of a Christmas tree. There are seven items that all start with the letter “S” in Farsi that should be on the table. People will add other things like coins, a gold fish, orchids, etc… to make it pretty. Sabzeh- It is a sprout or grass. This represents rebirth and renewal. Many people grow their own and on sizah be-dar, they will take it to make a wish and throw it in the river or any type of stream. Girls tend to take a piece and tie it to wish for love. Senjed- Dried fruit, usually from a lotus tree. This represents love. Sib- Apple for beauty and health. Samanu- Sweet pudding for wealth and fertility. Serkeh- Vinegar for patience and wisdom. Sumac- Spice made from crushed sour red berries. You will usually eat this on kabobs, some Persians eat it with pomegranate too. It represents a new day. 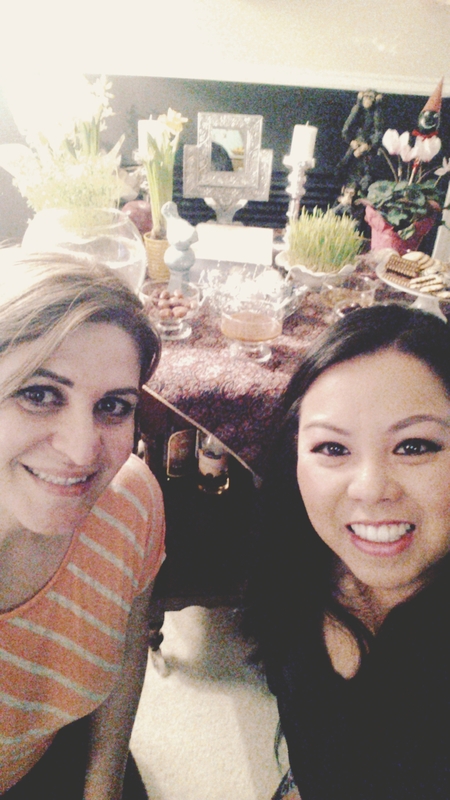 I hope you learned a little more about Persian New Year!